‘The Movers and the Shakers!’ Four amazing midwives from Ghana and Sierra Leone are the core of the twinning project running there now. In 2018 and 2019 both countries’ professional organisations will start working together intensively. Because they want to learn lots from each other! Ghana has the oldest professional organisation of midwives in Africa, the GRMA, established in 1935. More than 80 years of experience pays off in this well organised association. They support and connect midwives in Ghana, and advocates for them. So they can do their best work providing good and respectful care for mother and child. 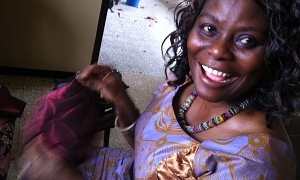 Ghanean midwives want more; to not only play a role in Ghana, but also in other countries. Enter: Sierra Leone. The midwives there have plenty of international experience due to their twinning project with Dutch midwives in 2008-2012. Through that project they became coveted guests at international conferences, like in 2011, at the worldwide midwives conference in Durban, South Africa. The midwives in Sierra Leone now want to build up their professional organisation, SLMA. In 2008, the association was floundering, a direct consequence of the years of civil war Sierra Leone had just been through. At the time, 5 midwives could be found to breathe new life into the association. They in their turn found twenty colleagues to take part. Naturally, ten years later, they’re still developing it. They want their association to serve midwives as well as possible, and through them mothers and babies. And since they know how to take this on in Ghana, this closes the circle! The Movers and Shakers! 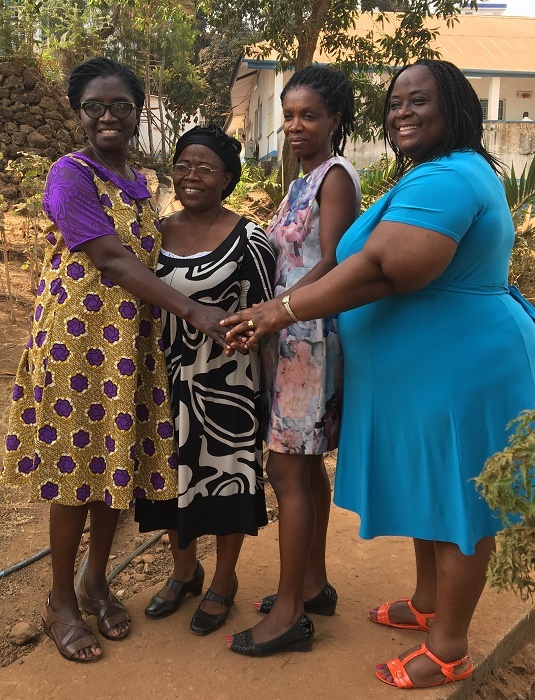 Left to right: Netta Ackon (president GRMA), Betty Sam (project leader Sierra Leone ), Gifty Baidoo (project leader Ghana), Safie Foday (president SLMA). De recente ebola epidemie heeft de beroepsvereniging van verloskundigen in Sierra Leone ernstig verzwakt. Door twin sisters te worden van Ghana willen zij hun vereniging weer sterk op de kaart zetten. Om zo méér te kunnen betekenen voor moeders en baby’s. 6 Ghanean midwives are coupled one on to a midwife from Sierra Leone. They keep in touch as much as they can. Together they visit workshops about things like leadership and team building. Both countries have their own project leader, who is a midwife herself. They are the movers. The Shakers are the presidents of both professional organisations. The project will be running for two years, in 2018 and 2019. I would like to help these midwives with a donation! We make it financially possible for the midwives from Ghana and Sierra Leone to work together intensively for two years. Would you like to contribute to this twinning project? You’d make a lot of midwives and mothers happy! We’ll use your contribution for a meeting place for midwives in Sierra Leone, among other things.